A huge environmental restoration project aims to save one of the world’s most important estuaries threatened by climate change. Radical intervention has started to restore Lake St Lucia, the world’s oldest protected estuary and the centrepiece of South Africa’s first World Heritage Site. The aim is to reconnect the estuary with its main artery and to fill Lake St Lucia with life-giving fresh water. Situated in northern KwaZulu-Natal, in the grip of the worst drought in living memory, the estuary is dying. 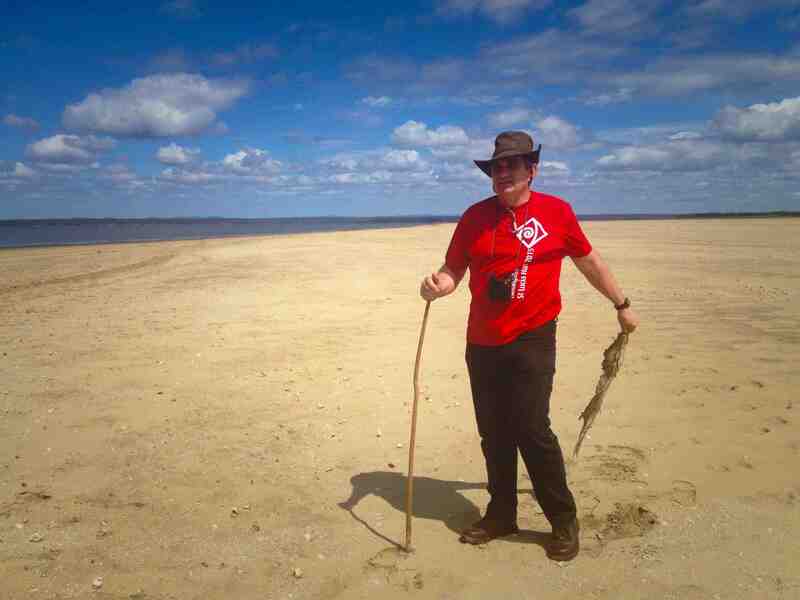 A recent visit showed that sections of the estuary had totally dried up. 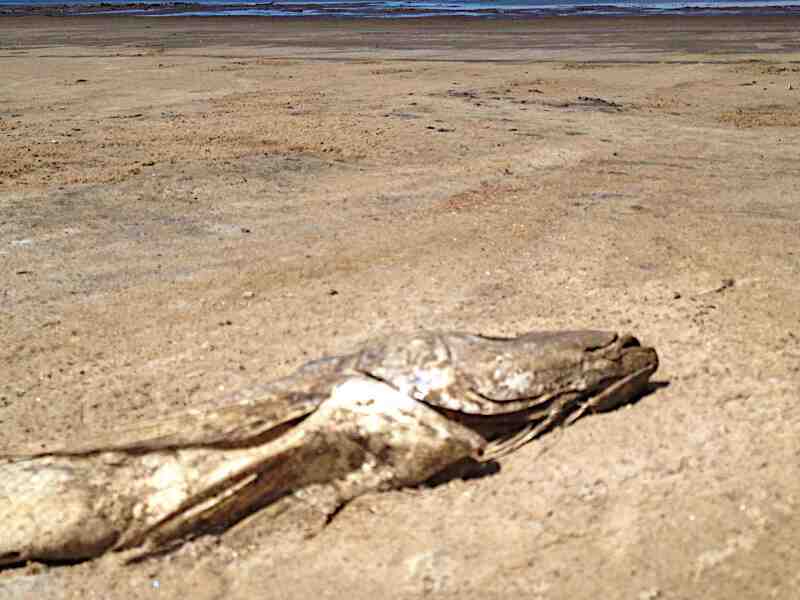 Starved of water, dead fish lay scattered around the lake near Catalina Bay. Lake St Lucia was proclaimed a protected area in 1895 and now forms the centrepiece of South Africa’s first World Heritage Site, the iSimangaliso Wetland Park. Park director Andrew Zaloumis said the project to restore Lake St Lucia was one of the biggest environmental restoration projects in South Africa, and would be a defining moment for the park. With climate change expected to exacerbate the impacts of the current drought crisis, conserving and managing water resources in the park has become critical. The uMfolozi river is the largest contributor of water to Lake St Lucia, but the two were separated more than 60 years ago. Since then the lake’s fresh water supply has slowly been deteriorating, and dredge spoil created a small mountain blocking the flow between river and lake. With funding from the Global Environment Facility, the aim is to move some 100 000 m3 of dredge spoil obstructing the natural course of the river. The organisation is also providing technical assistance to study the impacts of climate change on the hydrology of the Lake St Lucia ecosystem. This is not the first intervention. In 2012 a small breach resulted in the uMfolozi snaking its way through to the lake, but this was not enough to save the estuary. The river and lake were separated in the early 1950s by dredge spoil deposited to prevent silt from being carried into the estuary. Drought conditions between 2002 and 2012 showed how foolhardy that decision was, Zaloumis said. High salt levels in the lake resulted in the extinction of riverine species. The Tugela Bank prawn fishery collapsed, and other fisheries that need a healthy estuary as a nursery for their offspring have suffered heavy losses. 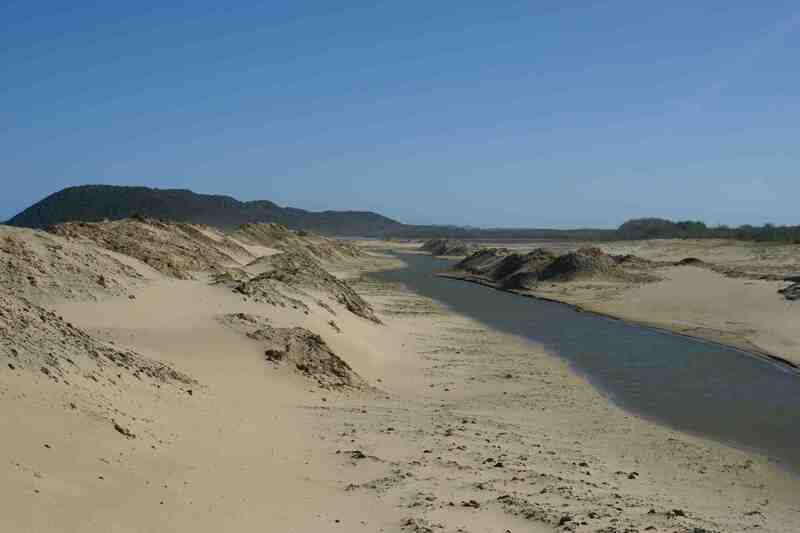 Alarmed at the degradation of the estuary, iSimangaliso appointed researchers to investigate possible solutions to fix the system’s hydrology. Researcher Nicky Forbes, an estuarine ecologist, said the research had debunked the myth that siltation and sediments were a problem for the lake. “In fact, silt was an important part of the ecosystem and provided much-needed nutrients for fish,” she said. More importantly, Forbes said, the uMfolozi was a critical contributor of fresh water to the St Lucia estuary and cutting the river off was a big part of the estuary’s current problems. Reversing the human intervention of the 1950s to reconnect the river and lake would once again allow the uMfolozi to contribute up to 60% of the lake’s fresh water, Forbes said. Sugar cane farmers upstream argued that the park authorities should artificially breach the St Lucia mouth to allow sea water to enter the lake system. But Zaloumis is adamant that this “quick fix solution” would substantially increase the salt loading in the lake. High salinity levels had destroyed vegetation during the last drought and accelerated wave erosion of shorelines and islands within the estuary, he said. Besides the rich biodiversity that the estuary system provides, the health of the St Lucia ecosystem is directly linked to the livelihoods of people living on the borders of the wetland park. Situated in the uMkhanyande district municipality, one of the poorest local authorities in the country, the lake plays a critical role in the lives of residents. Harvesting of raw materials from the lake provides a vital income and the park’s tourism industry creates critical jobs for the underdeveloped area.